Some month ago I came across a photographic book titled Anders Petersen (Thames & Hudson, 2013) on a shelf in Foyles bookshop here in London. The heart-warming but also eerie photograph on the front cover was the reason the book had caught my eye: the over awake man sitting in his chair, eyes wide open, holding his dog, and the dog’s eyes also wide open: the symmetry in expression between the two and also the warmth and companionship. The second reason I picked up the book was that Anders Petersen is Swedish: I am part Swedish (other part Tanzanian), and so I felt that I needed to know more about this fellow Swedish photographer, because it is always interesting to see how someone from your own culture approaches the world. Anders Petersen was born in Stockholm in 1944 in the quiet but central municipality of Solna, located just north of the Stockholm City centre. He finished school in Stockholm without pursuing higher studies. Anders was searching; and at the time he expressed an interest in painting and journalism. In 1961 he went to Hamburg to discover more of the world outside Solna and Stockholm. This was to become an intense period of meeting new worlds, of drinking and partying, of soft drugs and the voices and faces of new people. A little bit older, a little bit wiser, and now equipped with a camera, Anders returned to Hamburg in 1967: in the years in between he had found his calling in Photography and attended classes held by the well known Swedish photographer Christer Strömholm. 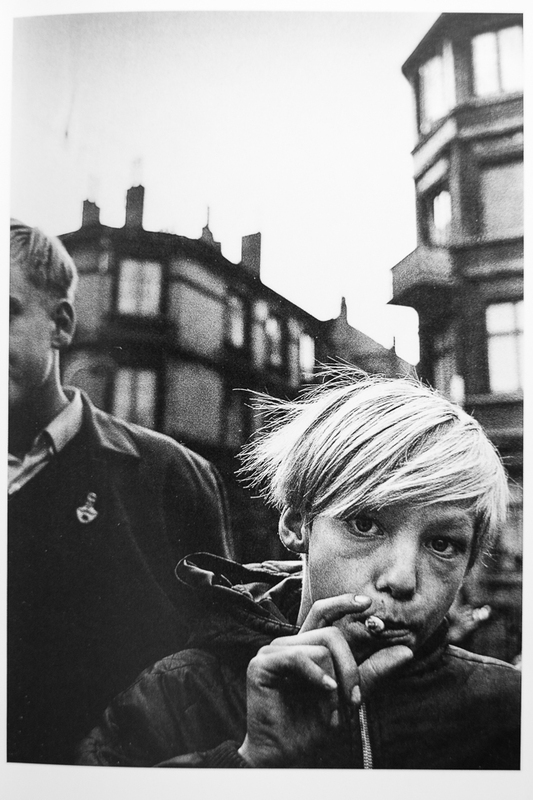 The photograph is simple and honest: the young man’s gaze back into the lens is stubborn, almost defiant, as he smokes the cigarette and lays claim to adulthood. Live it up. 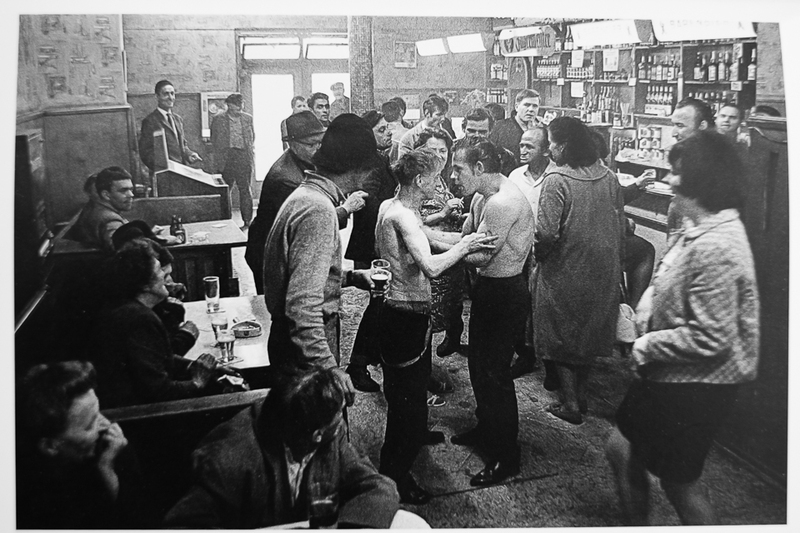 In 1968 in Hamburg Anders took lodging at a bar named Café Lehmitz. In return for the free lodging he looked after the children of the woman who owned it: an ex prostitute who spent most of her life living on the fringes of society amongst punters, artists, gamblers, patrons and dreamers. Here, Anders was able to create a body of work that would lead to his first photographic book, Café Lehmitz, a book that would have photojournalists around the world sit up and take notice. –Home is a place where people treat you as one of their own. And you can tell that this is the world Anders occupies in Café Lehmitz: he is there but he is not noticed; he is just another of the artists or punters if you so like. The people at the Café Lehmitz had a presence and a sincerity that I myself lacked. It was okay to be desperate, to be tender, to sit all alone or share the company of others. There was a great warmth and tolerance in this destitute setting. Her name is Marlene and she looks proudly into the camera. She occupies the space: it is her time, her place and her expression. Nothing has been meddled with by the photographer. This is the opposite of a photograph where someone waits for you to press the shutter button, whilst you tell them to smile or act naturally. Here, the photographer is known, a natural conversation is taking place. 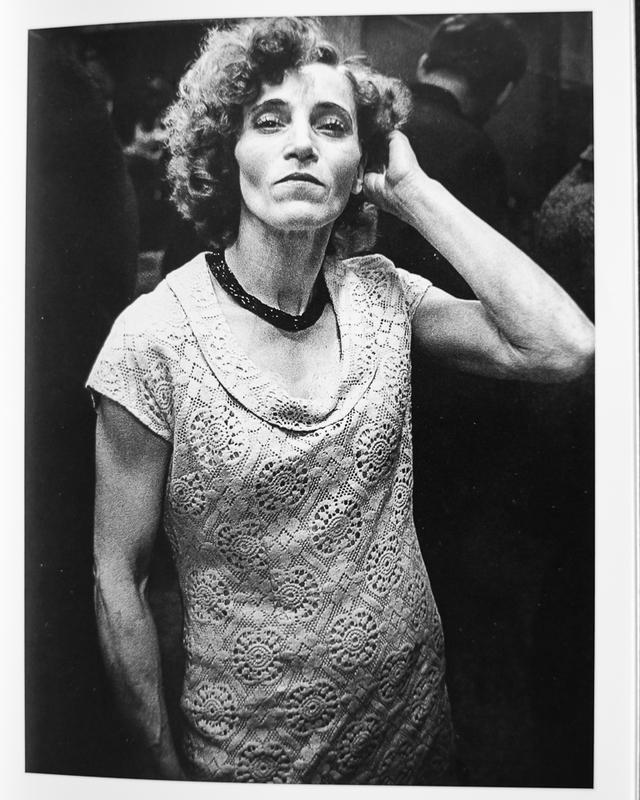 I am very glad to have come across the work of Swedish photographer Anders Petersen. –All photographs above are photographs taken by me of the original photographs. 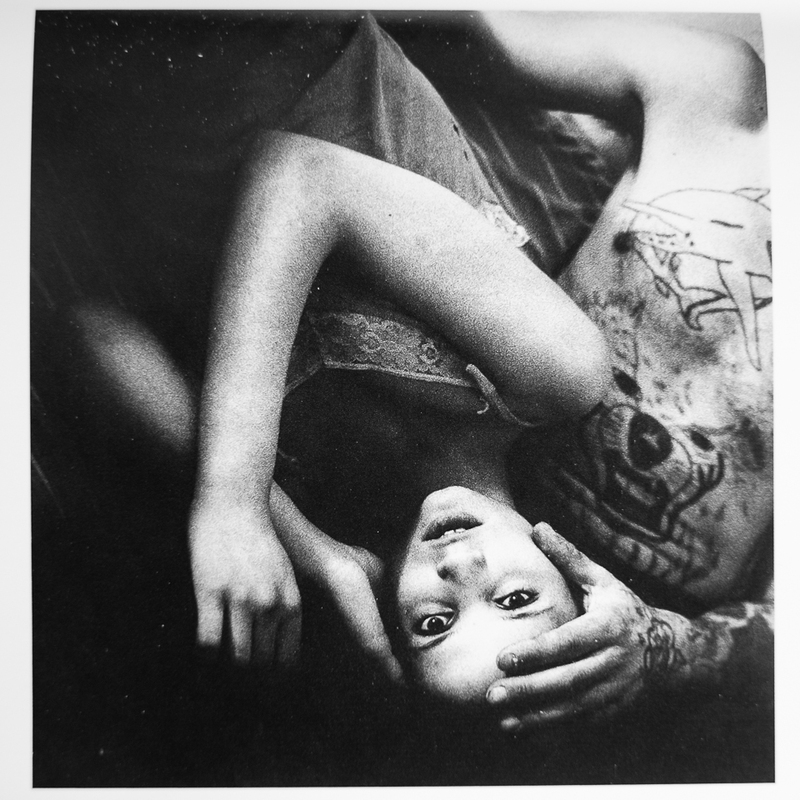 You can order the book Anders Petersen (Thames & Hudson, 2013) from Amazon here.